These seven exercises focus on common, everyday contractions. 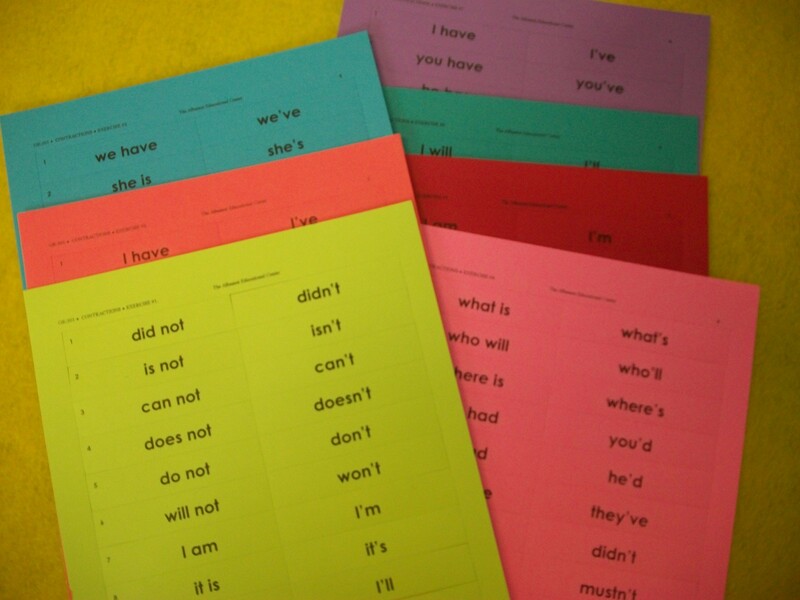 By matching whole words with the corresponding contracted forms, students become familiar with word usage and spelling. All exercises are coded and coordinated with the Albanesi Curriculum Program (ACP) and may be stored in compartments of standard tackle boxes (not included). The printed notes of this Montessori presentation from our CME Teacher Preparation Course are available for purchase from this webpage. Please search for: Contractions Exercises.